Taxon: Monarda citriodora Cerv. ex Lag. 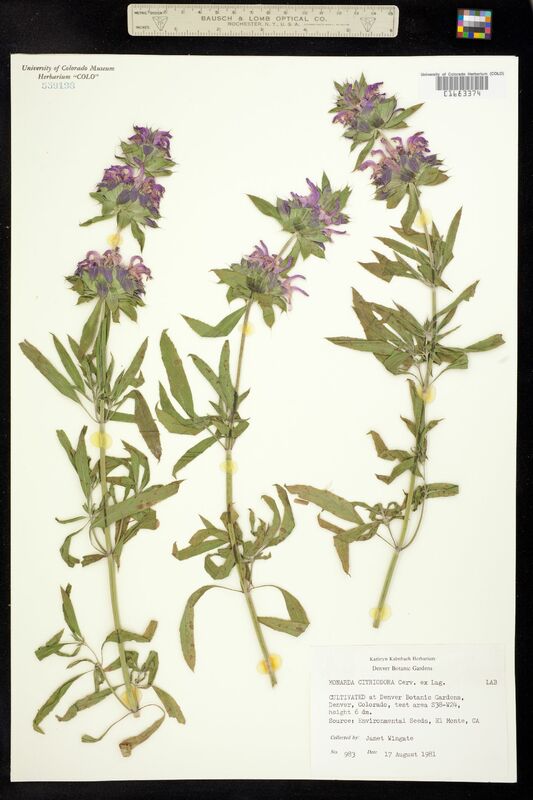 Notes: Imager: Brittany Thornton; Date Imaged: 6/4/2013; Ex Kathryn Kalmbach Herbarium. Cultivated at Denver Botanic Gardens, Denver, CO, test area s38-w24, height 6dm. Source: Environmental Seeds, El Monta, CA.